This is the second part of the two-part series on the learnings and takeaways from a rigorous course series on Household Finance at Knut Wicksell Centre of Financial Studies, Lund University, Sweden. In the previous post we discussed the theoretical underpinnings of household finance literature and attempted to provide an overview of academic studies that analyzed financial market participation and asset allocation of households in developed countries. In this post, we will continue to discuss the measurement of risk preference and the determinants of risk preference among households. This survey was also conducted in Italy, known as the Union of Concerned Scientist (UCS)[i] survey at the beginning of 2007 where both the distributions showed substantial similarities. Overall, these surveys indicate that most individuals are risk-averse, but a significant section of investors are willing to take the risk if adequately and satisfactorily compensated. The advantage of conducting the survey is that it enables sorting of investors into risk tolerance groups. To understand the heterogeneity among investors’ risk appetite, let us understand the determinants of risk preference systematically. Two empirical strategies are used to study the relationship between wealth levels and risk preference. Researchers have either used the Revealed Preference Approach or elicited risk preferences through surveys. Across countries and over different periods of time, investors have shown decreasing relative risk preference (DRRA), i.e. investors at higher wealth levels will allocate riskier shares (carrying probabilities of higher returns) to their portfolio[ii]. However, since a large number of studies use cross-sectional data, it is difficult to ascertain if richer households take more risk because they are wealthier or whether they are rich and therefore can afford to be less risk-averse. This leaves the possibility that perhaps wealth does not have direct effects on portfolio choice but stands as a proxy for latent individual characteristics. Background risk is defined as the type of risk that cannot be avoided because it is non-tradable and non-insurable. In general, the theory holds an assumption that background risks make investors less willing to make investments in risky financial assets. Some of the sources of background risks discussed in the literature are – Human capital[iii], Housing wealth[iv], Private business wealth[v] and volatile income flow. For instance, Betermier, Jansson, and Parlour (2012)[vi] find that a household moving from an industry with low wage volatility to one with high volatility will, ceteris paribus, decrease its portfolio share of risky assets by up to 35%. Another determinant of risk appetite stems from consumption commitment[vii] towards durable goods. The literature argues that consumption of housing and car (that involve adjustment costs[viii]) can affect investor risk preference. Chetty and Szeidl (2008)[ix] provide empirical evidence that households with more commitments follow more conservative financial portfolio strategies. It has also been argued that commitment amplifies risk aversion more than moderate shocks. Risk aversion systematically varies with demographic characteristics. There are varied streams of evidence that study the relationship between demographics and risk preference. For instance, a host of studies that find risk aversion is higher for women than for men, provide a gender-based lens to portfolio allocation[x]. However, unlike gender, research shows a mixed impact of education on risk preference. Calvet and Sodini (2016)[xi] find that the general level of education does not influence financial risk-taking in twin regressions, suggesting that the effect of general education is not causal. However, Vissing-Jørgensen (2002)[xii] has a robust finding on the cross-sectional regression that finds a positive impact of education on risk-taking. Beyond these, some of the other determinants of risk preference discussed in the literature are the impact of past experiences, IQ, genetics v/s environment. The existing household finance literature discussed here provides us with a good understanding of a) how households in developed countries build and manage their portfolios and, b) the factors that influence their financial decisions. However, we find that the Indian household has certain unique portfolio characteristics that cannot be easily explained by traditional theories or theories generally applied to the developed world. For instance, Indian household portfolios have low usage of formal savings, insurance and pension products, and these are indicative of suboptimal portfolios particularly for households at the lower end of the income spectrum. Besides, such households also face significant income volatility and irregularity. In subsequent posts, we will discuss in detail, the characteristics of Indian household portfolios. [viii] As explained by Flavin (2005) – “household incurs adjustment cost when altering the holding of durable good (house or car), although financial assets can be bought or sold costlessly. Consumption of non-durable goods can also be adjusted costlessly. [For example] When choosing a house, the consumer takes into account the fact that the consumption of housing services will be constant at the new level until the subsequent stopping time, when it is again worthwhile to incur the adjustment cost. Thus, the home purchase decision is endogenous and fully rational, but, because of the adjustment cost, it is infrequent. In this continuous time setting, the household’s decision process has a recursive structure; at each instant, the household first decides whether it is optimal to sell the house immediately or not. In essence, because of the adjustment costs associated with the durable good, the current house stock becomes a state variable that affects both the non-durable consumption choice and portfolio allocation. [x] Fehr-Duda, H., de Gennaro, M., & Schubert, R. (2006). Genders, financial risk, and probability weights. Theory and Decision; Dohmen, T. J., Falk, A., Huffman, D., Sunde, U., Schupp, J., & Wagner, G. G. (2011). Individual risk attitudes: New evidence from a large, representative, experimentally-validated survey; Hartog, J., Ferrer-i-Carbonell, A., & Jonker, N. (2002). 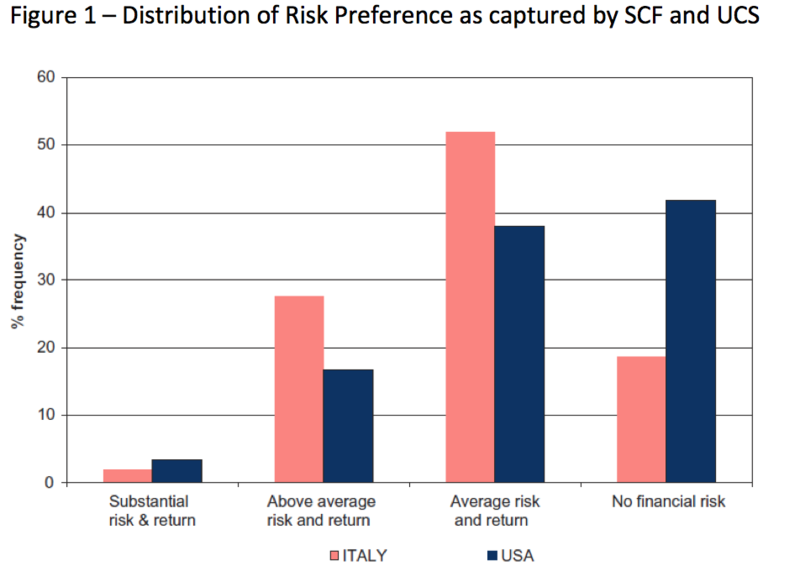 Linking measured risk aversion to individual char­acteristics.